Excavation of Med Buildings at 1-5 Bleachfield St. The remains of several Medieval buildings were excavated in Bleachfield Street, Alcester. 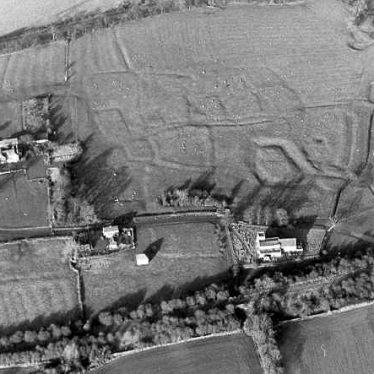 The buildings were indicated by post holes, walls and hearths. A timber framed house which was possibly built in the Post Medieval period and contains two great hearths. It is situated at Holywell. Evidence for a causeway was found at Bridgend, Warwick during an excavation. It ran down to the old bridge. Remains of timber framed buildings were also found. All the features were of Medieval date. The buildings appear to have been cleared in the 19th century. More recent excavations indicate the survival of structural remains to the south of the 1983 excavations. This map shows markers for every photo, article, historic site and catalogue record within the Hearth category.